Otters are well-known for their playful behavior, both on land and in the water. These are one of the larger members of the weasel family and can grow up to 50 inches in length. They are very sociable and are typically found in small groups. The diet is carnivorous, living off mostly fish and crayfish. 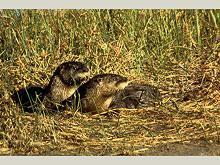 Otters live in multiple dens created by other animals, favoring ones burrowed out along the water's edge. Delightful to watch, otters have been successfully re-introduced into northeastern Utah by state wildlife officials. 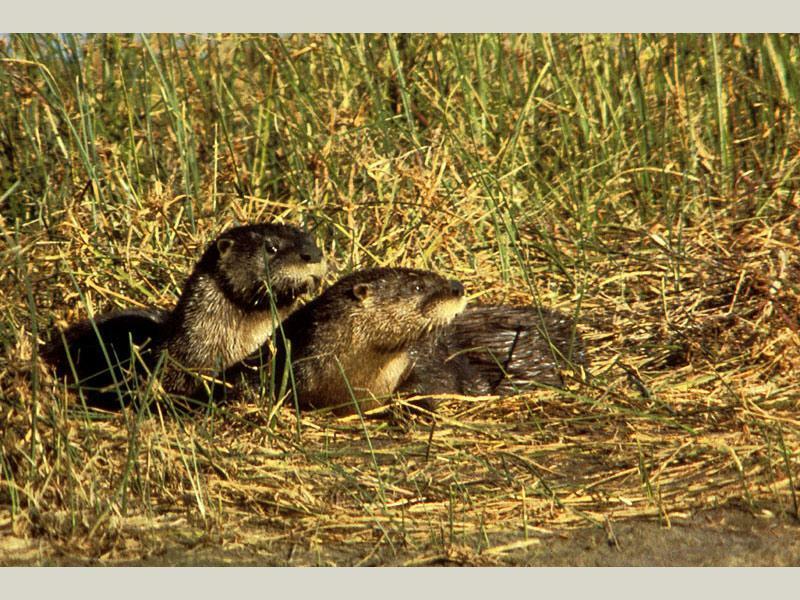 Lutra canadensis, long bodied animal with short legs, thick fur and long tail. 10-30 lbs. Thank you for visiting http://www.flaminggorgecountry.com/River-Otter! Be sure and revisit flaminggorgecountry.com frequently for content updates and more.